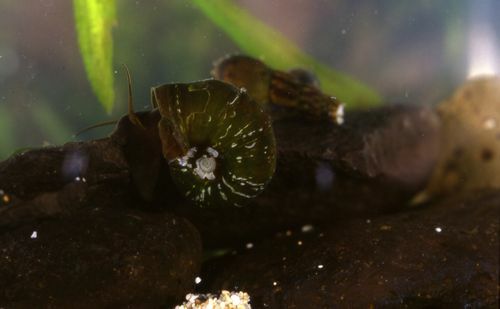 Habitat: These snails are not mistaken for any other species because of their distinctive ram’s horn shape, and are found in most freshwater areas, including streams and ponds. Preferred Area of Stream: Can be found in slower pool habitats and on the margins or sides of streams. Also common in wetlands and kalo lo‘i. Predators: Ducks will eat snails, especially smaller young snails, fish will also eat these snails. Fact: This species was accidentally introduced into Hawaii by people dumping their aquarium water when they were releasing aquarium fish into stream areas. This harmful practice has caused many aquarium specie to now be found in Hawaiian streams and all aquarium species hurt our native stream biota because of the parasites they spread.